Uvida’s curriculum focuses on empowering consumers to address a wide range of needs. Meeting our immediate and longer term needs is the primary motivation behind the desire to learn. 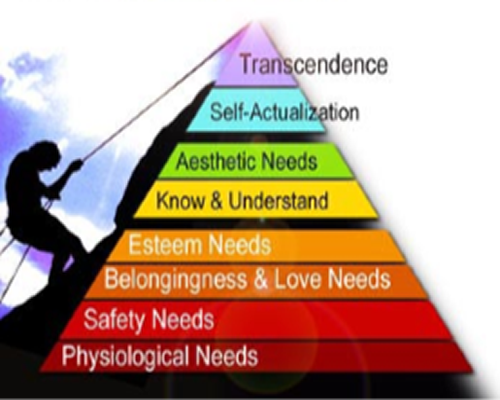 70 years ago, Abraham Maslow organized the entire range of human needs into a comprehensive psychological theory. Maslow’s Hierarchy of Needs is even more relevant today. Most will agree that the entire spectrum of human experience and motivations can be summed up by this pyramid. Everything we do, think, feel and experience — our individual struggles — can be linked in some way to at least one of these categories. The broadest universal human needs, like clean water, air, and waste elimination, are represented at the bottom, while the most evolved needs, like spiritual enlightenment, appear at the top. Physiological and Safety Needs include warmth and shelter. People everywhere are searching for ways to conserve energy, capture solar heat, earn more income, and create long-term sustainable solutions. Safety Needs include financial security, consumer protection, ID theft, drug awareness, disaster prep, safe driving, self-defense, and preventive healthcare. Food is another example. With a head of organic lettuce heading toward $4, and organic apples already $1 each, produce transported by intercontinental jets and heavy diesel trucks may soon have a hard time competing with the current renaissance in backyard gardening and root cellars. Community Supported Agriculture Centers (CSAs) are sprouting up in cities and towns from Maine to San Diego. Manhattan now has fifteen CSAs purchasing produce from local farms within a short radius of the city. People everywhere – urban, suburban and rural – are paying more attention to their food: how and where it’s grown, and how to grow it themselves. After basic health and safety needs are met, we begin to focus on interactions with the world around us. Higher education, career training, marriage, divorce, child rearing, emotional health, communication skills, dating and sexual health are all related to self-esteem and the need for love and healthy relationships. Fee-based career skills training, including formal college coursework and the vast array of supplemental adult education, is the most prevalent driving force behind today’s elearning explosion. In recent years, the Internet has catapulted online dating to new heights. The largest dating service is eHarmony.com, with hundreds of thousands of members. eHarmony now also offers ‘EH Plus’, a personalized matching service with a $5,000 annual fee. Climbing up the pyramid, we reach the need to understand. An excellent example over the past decade is the overwhelming popularity of ‘The DaVinci Code’. The book sold 80 million copies in 44 languages. During the film’s opening weekend, moviegoers spent an estimated $77 million in America, and $224 million worldwide. ‘The DaVinci Code’ is the best domestic opening for Tom Hanks. The film went on to gross nearly $800 million worldwide during 2006. This was also in the midst of major global controversy with some countries banning the film. There are, of course, countless other examples of the desire to understand human history and the universe around us. Television shows covering the topic of extraterrestrials, UFOs and ‘Ancient Aliens’ are as prolific as the evening news. The current cultural shift toward spiritual values is obvious, while the effort to align science with religion grows ever more intense. The ‘intelligent design’ vs. ‘evolution’ debate is a tiny part of this movement. In 2014, Deepak Chopra released a new book, ‘The Future of God’, a profound statement that does not promote any single religious belief system, but instead attempts to unite us by transcending religious dogma and focusing on meditation, prayer and a deepening commitment to the principles of self-awareness. The demand for practical knowledge, progressive insights and the quest for wisdom in today’s culture is at an all-time high. Affordable online education can readily address an ever-growing spectrum of human needs and desires. To expand your understanding a bit more — to clarify Uvida’s holistic focus — we’ll close by mentioning the most basic of human needs – WATER – and how it winds its way through the entire hierarchy. The lack of clean drinking water was at the root of most of the global epidemics over past 200 years. One cause behind short-term memory loss is dehydration, which also contributes to skin problems, clogged lymph and poor elimination of waste. Most municipal water supplies include chlorination and fluoridation. While chlorination plays a vital role in suppressing bacterial growth, the myriad problems associated with these treatments to municipal water supplies are too numerous to mention here. If every home has a television, every home should have appropriate water filtration at the kitchen tap. Let’s revisit the top of the pyramid – spiritual awakening. 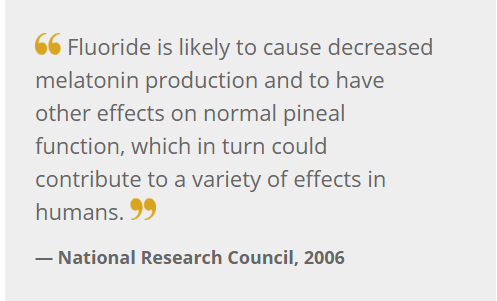 It’s a little known fact that fluoridated water tends to calcify and atrophy the pineal gland, well-recognized by many religions as playing a key role in our awareness of spiritual forces. Often referred to as the ‘third eye’, or ‘the God organ’, the pineal gland, the size of a raisin, but ranging in size from person to person, rests at the center of the brain. The French philosopher Renee Descartes referred to the pineal gland as ‘the seat of the human soul’.